Barry M Instant Nail Effects Black & Peach Melba | Memorable Days : Beauty Blog - Korean Beauty, European, American Product Reviews. Remember my London haul? 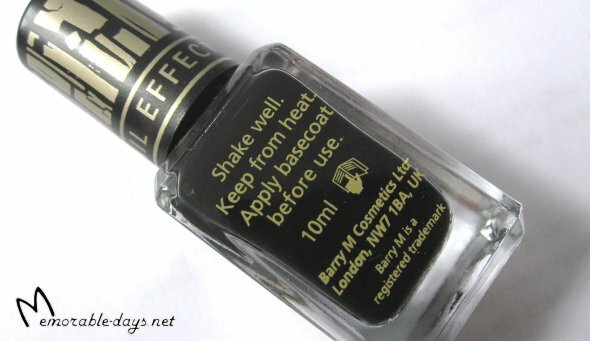 I bought some Barry M nail polishes back then, I wanted to try these for a long time now! I will show you some swatches of these nail polishes in this blogpost ^__^. Check out the crackling effect of this awesome nail polish of Barry M! This crackle nail polish dries very fast. You will be able to see it crack within a second o_o! It has a pretty matte finish. It's a cute Peach/Apricot color ^^, I'm loving pastel colors! 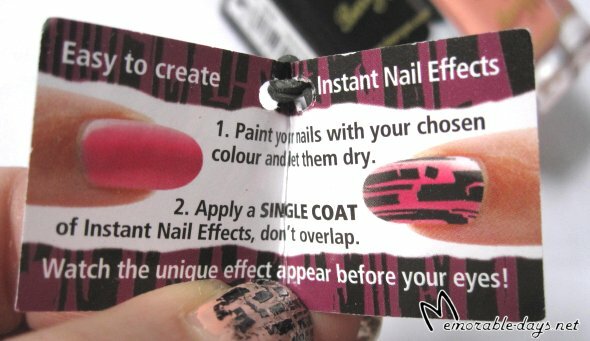 This nail polish isn't sheer at all, a second coat isn't even needed. However, it did chip after two days even after applying a good top coat. 1. Paint your nails with your chosen colour and let them dry. 3. Watch the unique effect appear before your eyes! One thing that I didn't like while applying the nail polish was the brush. These brushes are too thin in my opinion. They could have made it thicker which would make it easier to apply. It was a bit streaky while I applied the Peach Melba =(. The instant nail effect black is £3,99 and normally the Peach melba nail polish is £2,99 at Superdrug. However, I bought the Peach melba for £2.- cause there was a buy 2 for £4.- deal back then. 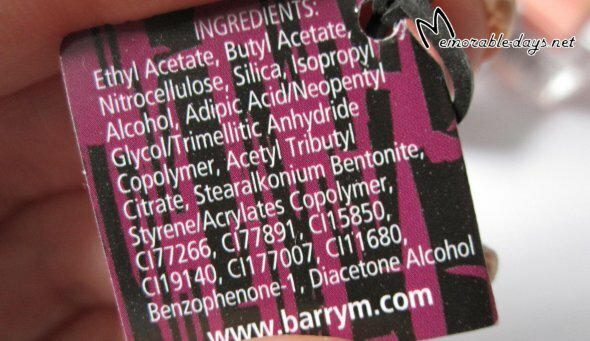 These nail polishes are also sold at Topshop, Boots and at their website: http://www.barrym.com. People in The Netherlands can also find these at the webshop, Alice & jo's havesentials. As you can see in the picture below, the cracks are looking different on every nail. I actually don't think it's very pretty but it's just cool to see the effect. It really cracks within a second xD so awesome! I definitely recommend the black crackle nail polish (instant nail effect, #311). It dries extremely fast and it gives you pretty matte crackling nails. I think it's good for the price as well :). I haven't tried a cheaper crackling nail polish before, so I can't compare it with an other one. The Peach melba is just ok. I'm loving the color of that nail polish, but it's a pity that it chips so fast. Besides, the big downside of these nail polishes are the thin brushes, it makes it a bit hard to apply =/. Leuk peachy kleurtje :D en de shatter doet ook zn werk. Wow! That's amazing O.O How coolios! The effect looks awesome!! I agree, I really prefer a wide brush like OPI. That looks even better than the OPI cracking one as you said it cracks within seconds lol! Must be so fun to apply too! @Rinny, I actually like the matte finish of the crackle nail polish. It shines in that picture because I applied a top coat. @Winnie, yesss, you really should try it out :D it cracks extremely fast! @Naka, yess, You always have to apply a top coat, otherwise it will chip off quickly. Peach melba is such a cute colour!